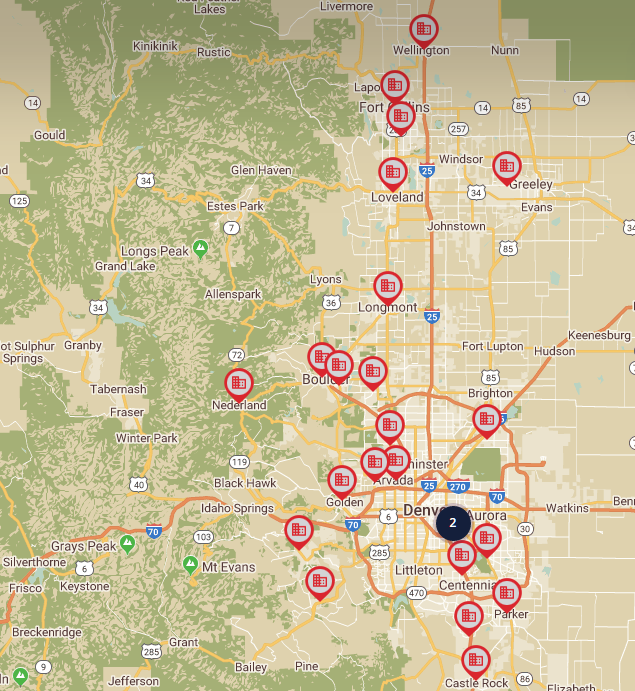 RE/MAX Alliance is Colorado's largest privately owned real estate company, serving the beautiful Front Range with offices from Castle Rock to Fort Collins, Aurora to Evergreen including the entire Denver Metro area. We are proud to have been named the largest RE/MAX franchise in the United States and globally in 2011, 2012, and 2013. With that kind of support and power behind you, it's easy to see why RE/MAX Alliance is the obvious choice for buying & selling in Colorado. We strive to help thousands of families each year buy or sell their home, relocating to and from Colorado. Our experienced REALTORS lead the state in experience and professionalism, which makes all the difference for our clients. My RE/MAX network has more than 120,000 agents in over 100 countries and territories. When you're looking to buy or sell a property just about anywhere in the world, 'Call Ants' at 303.520.3179. Below are a list of RE/MAX Alliance offices in Colorado.